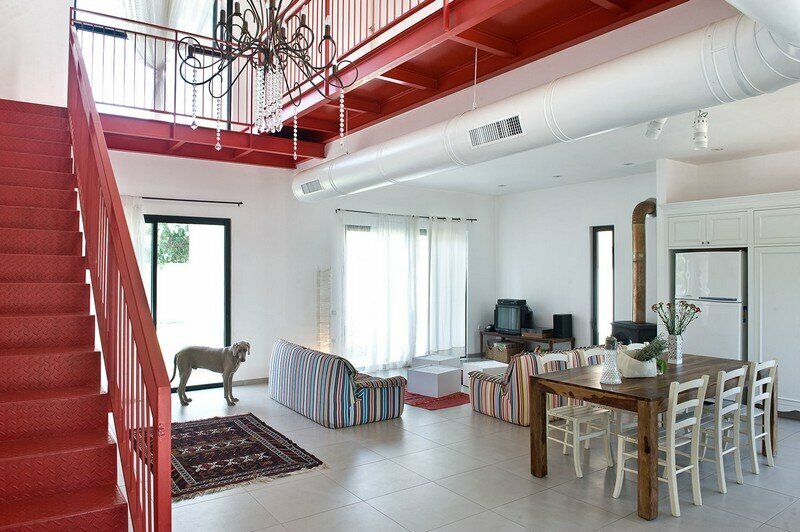 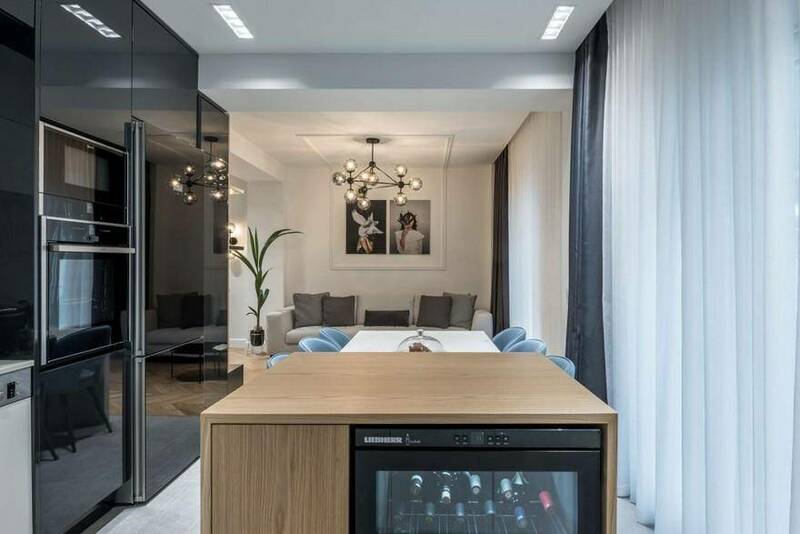 The 115-square-meter family apartment, part of a 1970’s building, situated in the centre of the city of Serres, in Northern Greece, was utterly renovated, to meet the requirements of the young couple with their new-born girl. 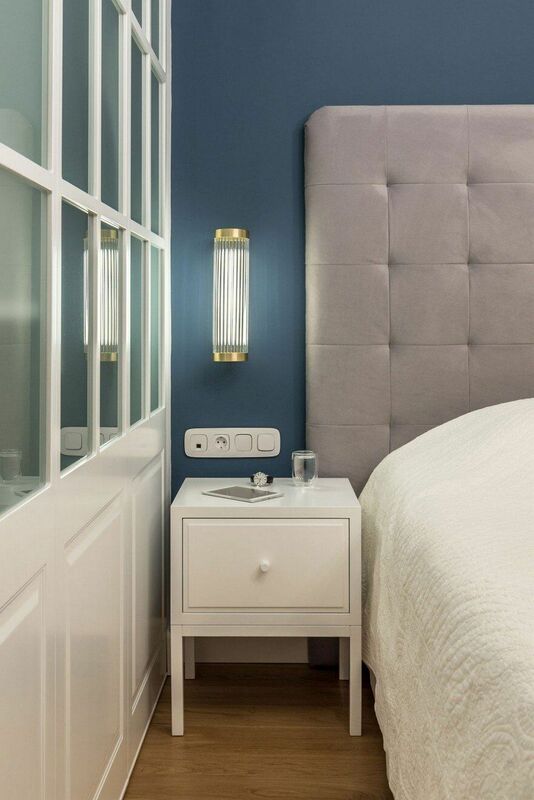 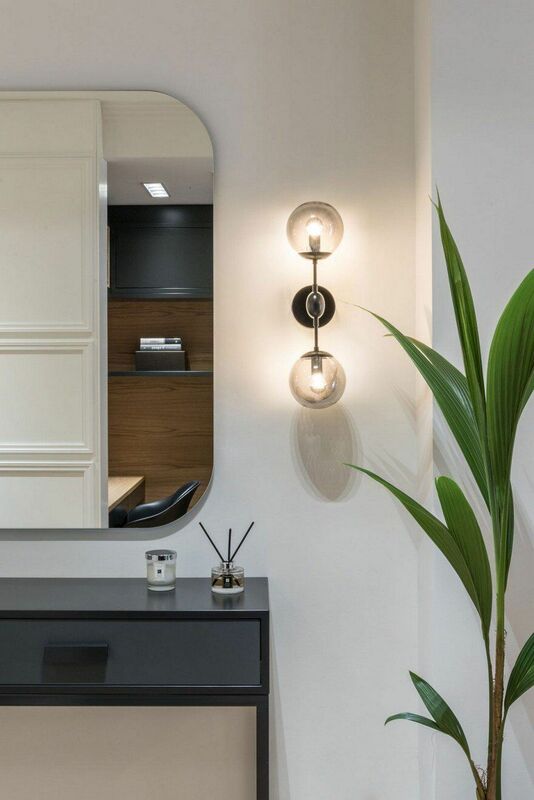 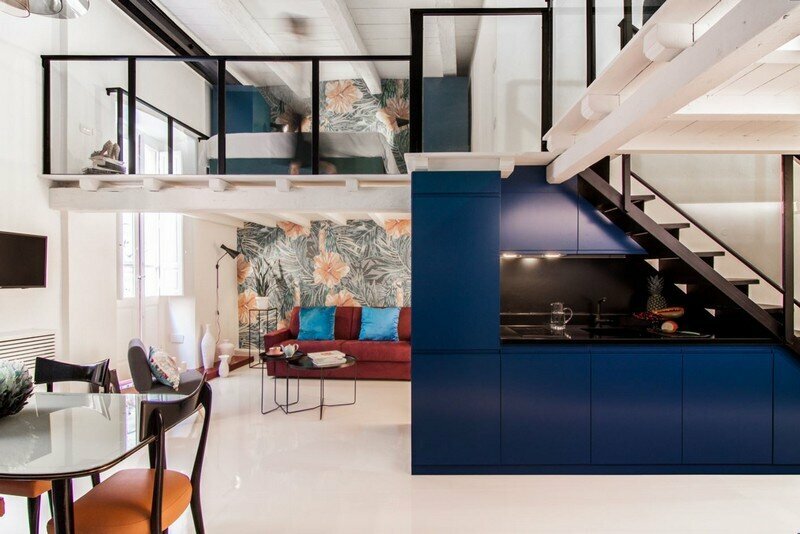 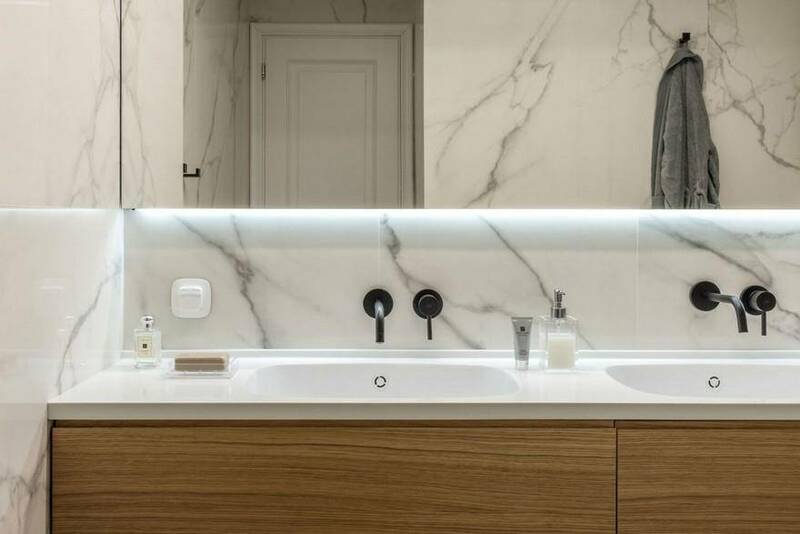 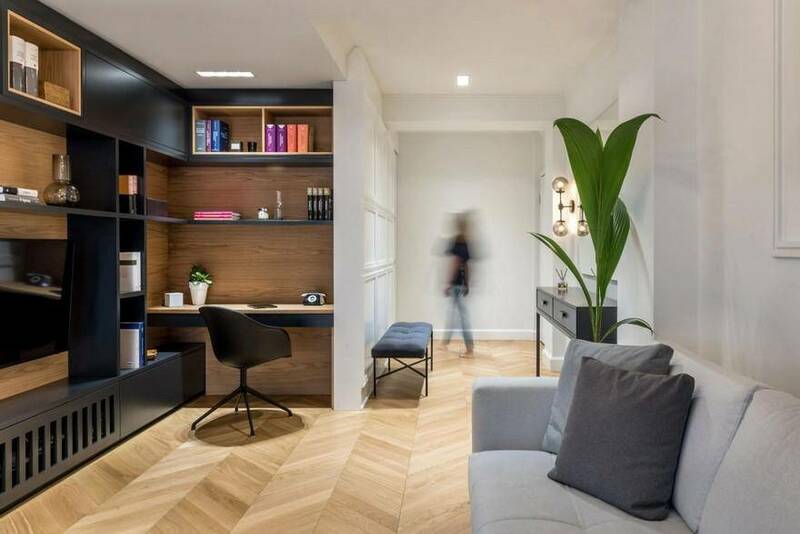 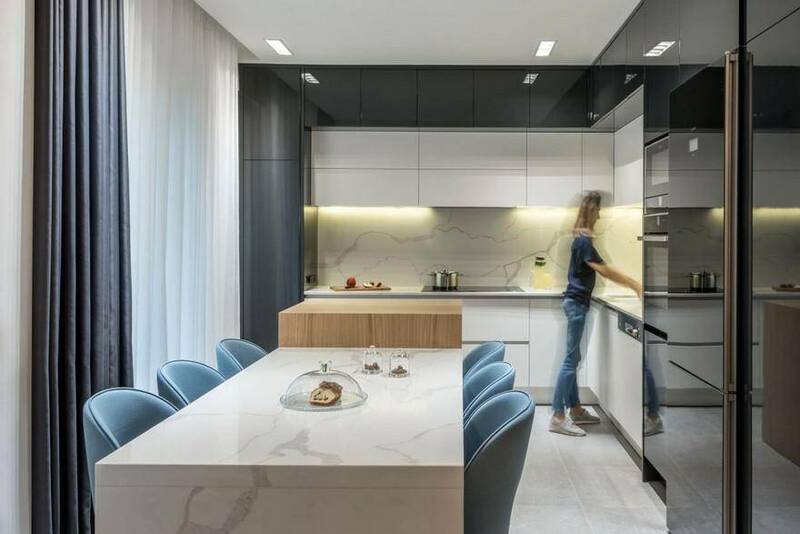 This contemporary chic apartment was completed in December 2017 by Normless Studio. 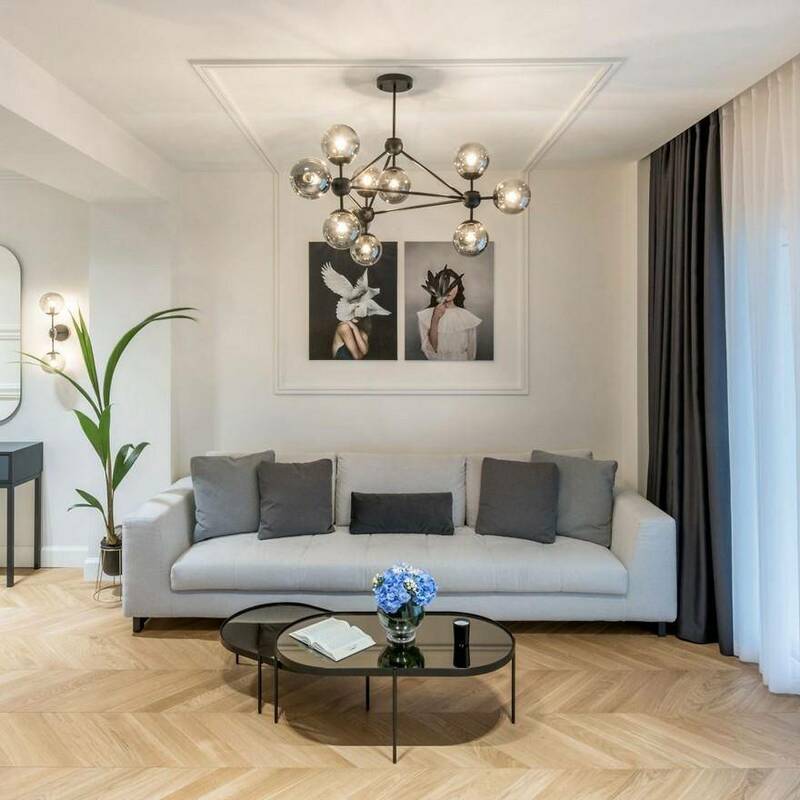 The clients taste leaned toward a more classic atmosphere, so the architects aimed to combine classic elegance with minimalist functionality for their new home. 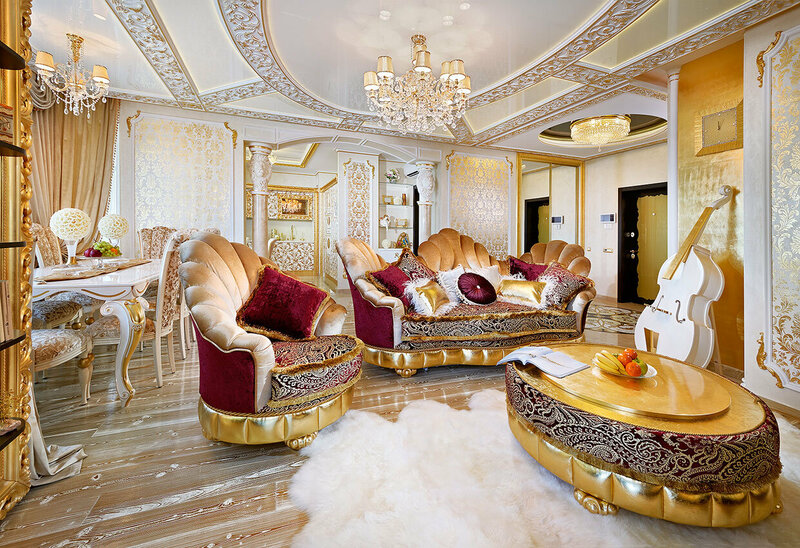 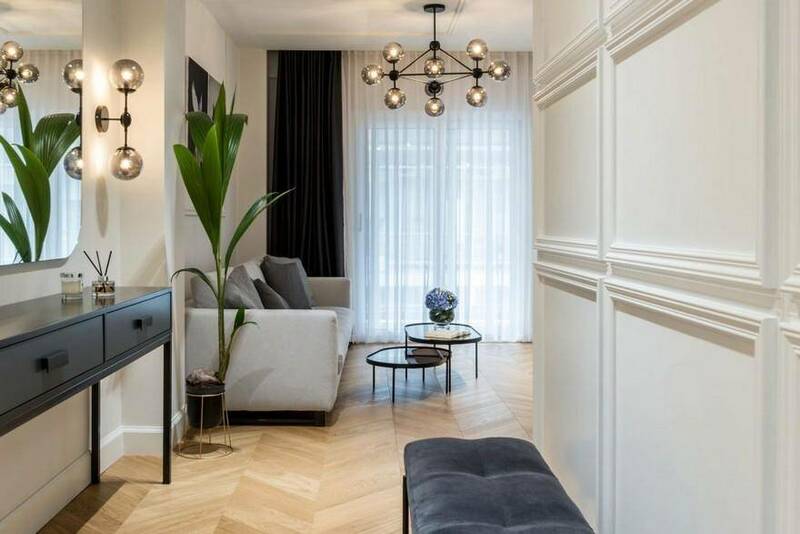 Classic touches like chevron flooring, ornate ceilings and wall moldings throughout the apartment are offset by more contemporary elements like the marble dining and kitchen counter, dark and natural wood furnishings, black and brass metal lighting fixtures. 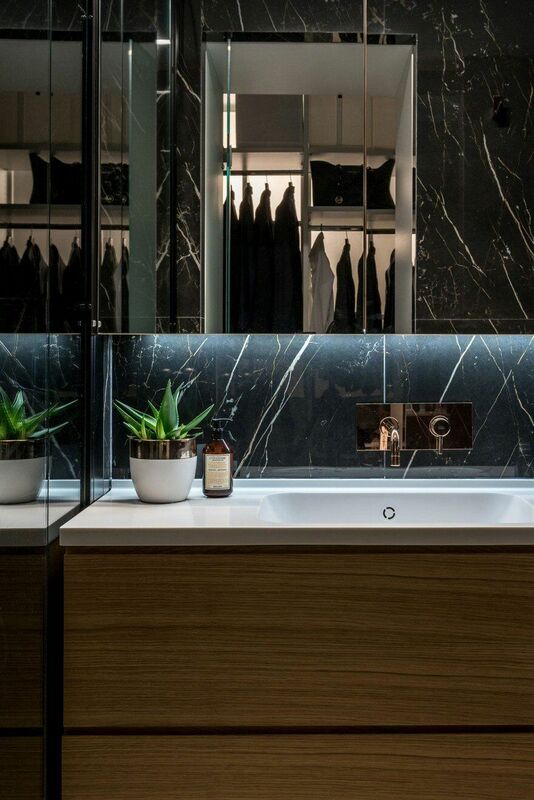 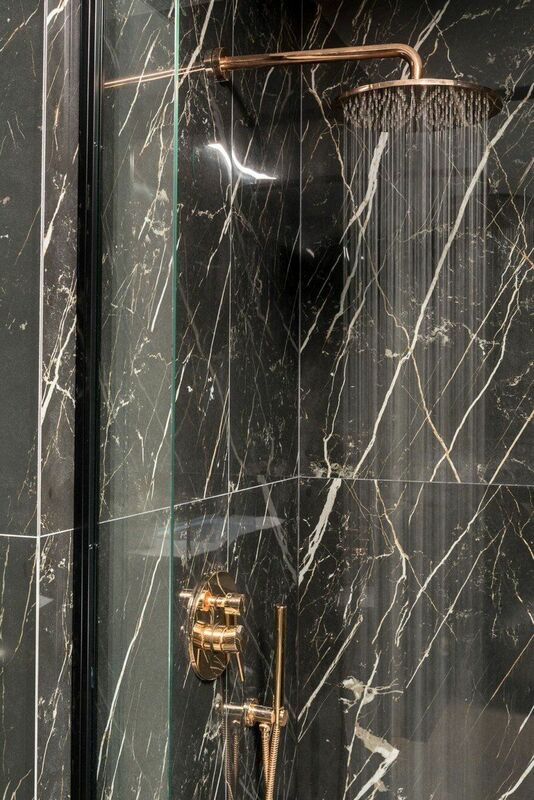 A sense of subtle luxury is added by the white and black marble like tiles used in the guest and en-suite bathroom, whereas the timber accents provides a warmer and cozy ambiance. 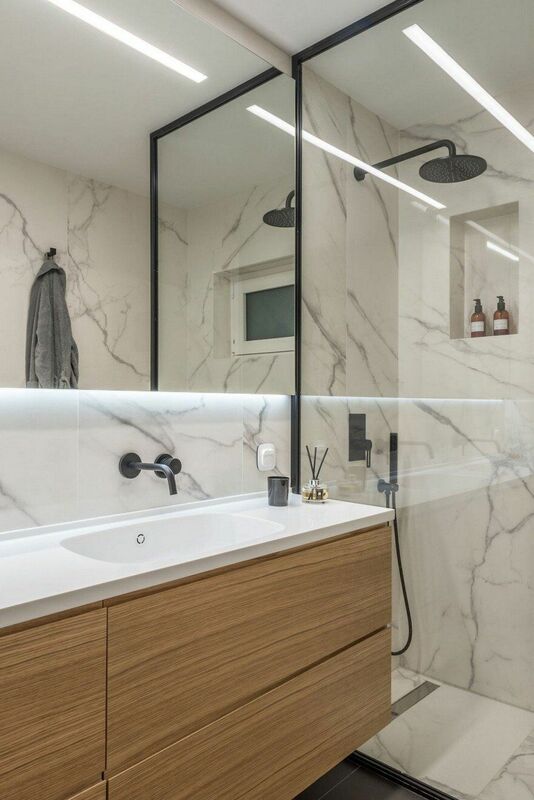 The master bedroom has its own walk in closet behind a wooden glass divider, reminiscent of a classic window frame allowing natural light into the enclosed space which leads to the en-suite bathroom. 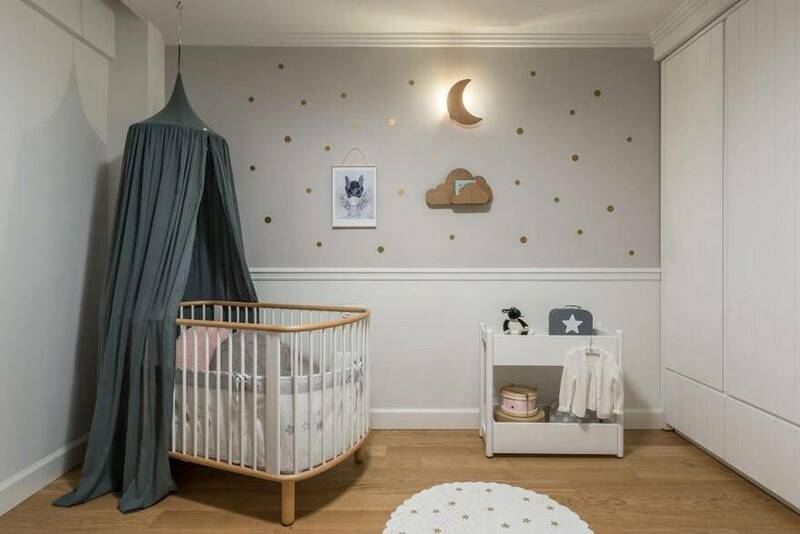 The children’s room follows the same aesthetic continuity with warm timber flooring, wall moldings and white furnishing along with playful yet elegant decorative details. 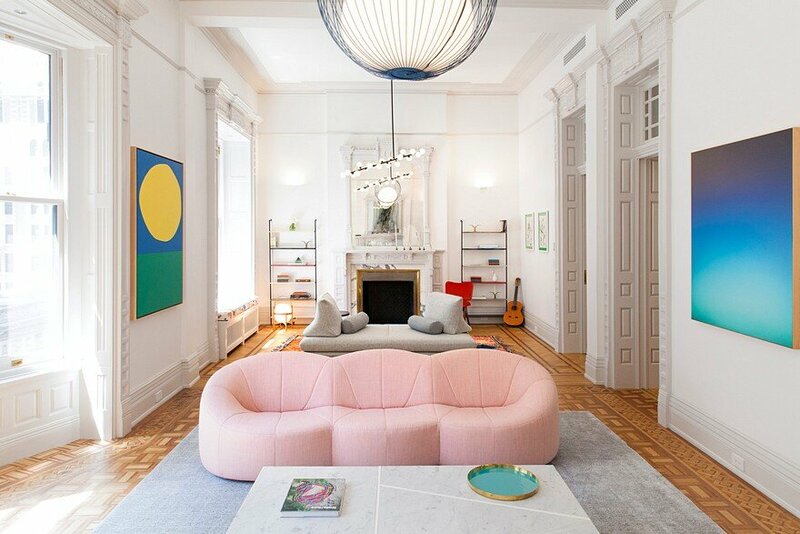 The original layout of the apartment was vastly changed by removing most of the interior walls and rearranging the communal and private spaces. 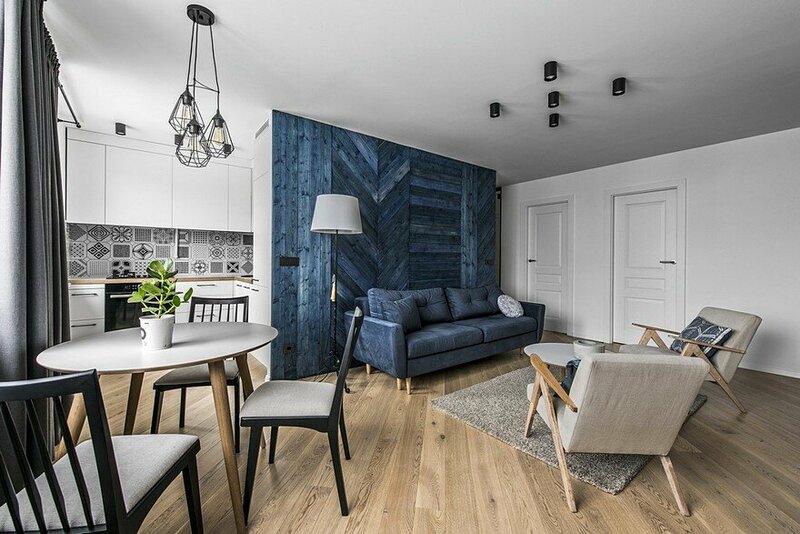 The new layout has all the living spaces divided from the bedrooms through a wide hallway where extra storage room is created for the everyday needs of a growing family.